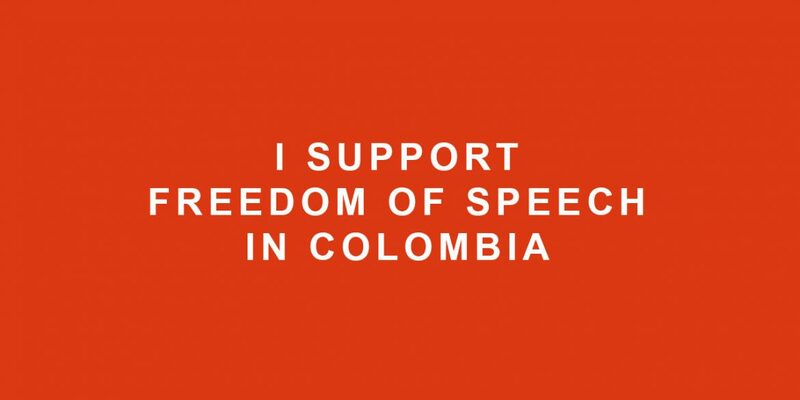 Colombia Reports is calling on readers and supporters of independent journalism for support. We are going to need it in the coming four years. We have depended on the voluntary contributions of readers since May last year when advertising revenue had dropped to the point it barely paid our utilities bill. The overwhelming response to our cry for help saved us from bankruptcy and has kept us afloat since then. It has even amplified our freedom to tell stories that are generally ignored for commercial reasons. Also, your contributions have allowed us to report on the issues that are important for Colombia, but generally do not make it through the threshold of foreign newsrooms. When there are big news events like a massacre or the annual release of the United Nations’ report on coca cultivation you can rely on foreign news media like the BBC or the New York Times for coverage like always. But when both the UN and the United States government omit to release their annual statistics on coca cultivation and avoid inconvenient headlines, we can step in and inform you using our local sources. You could consider our role as local journalists complementary to what is done by our colleagues in newsrooms in London and New York City, but a consistent monitor of what is going on in Colombia is more than that. The ongoing peace process requires reporting that goes beyond the occasional massacre. War provides simple, almost binary narratives about one side killing the other side. Peace processes are complex because they deal with the causes of violence and involves society in all its plurality. The causes of the violence must be reported on, especially because this violence persists and incoming President Ivan Duque seems to find both truth and justice politically inconvenient. The pending criminal cases against former President Alvaro Uribe, the military and the FARC must be reported on. The gradual emerging of the truth about the conflict after decades of war propaganda must be reported on. The state of Colombia’s social fabric in a post-conflict period must be reported on. Colombia Reports has more than 10 years of experience in reporting on this country and finds itself in the unique position to monitor a peace process that can serve as a reference for future peace process. However, we are working under rather adverse circumstances. We are terrified by the rapid increase in assassinations of social leaders. We are concerned about the growing number of death threats against our Colombian colleagues. We reject and oppose these attacks against democracy, free speech, and the lives and integrity of our sources and colleagues. We need your support to do this. We need both the financial and moral backing of our audience in order to stay safe, sane and uncensored. If you are not yet a friend of Colombia Reports, please become one. If you are broke, keep sending us those beautiful emails or join our editorial board. If you’re not broke, please support us for $5 a month.